Humi is the duo of Hugh Hopper (electric bass, electronics, loops) and Yumi Hara Cawkwell (voice, piano, keyboards, percussion) working in an ambient improvisational avant-garde jazz space. The visceral process by which the two musicians work together is at once spiritually freeing, uplifting and introspective. Each track on the disc is like an episode in a dream, flowing through numerous scenes and spaces, continually moving forward in some respect but often slowing as some new idea is exploded and elaborated upon. The percussive elements provided by Yumi are little more than accentuation, that is to say there is no steady beat to speak of, other than whatever bottom end Hopper provides via bass, while both wander freely through labyrinths ranging from quiet passages to spectacular open radiances of colorful piano sprites, electronic loops, and sheets of dreamy vocal etherealism. The vocal parts are a mixture of wordless flights as well as some with lyrics, although difficult to decipher; I am sometimes reminded of the layered voices of 80s Japanese avant-gardist Takami. 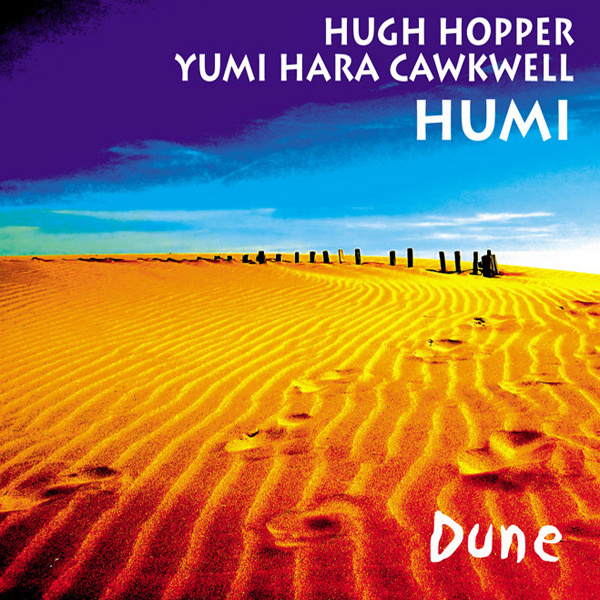 The dreamy approach of Dune works surprisingly well, Yumi and Hopper each providing a substantial contribution to the effort, with excellent playing and deft interaction, replete with interesting sonic events, fluid emotion, and plenty of space to set the mood.